It's the same size as the other little bags I made before. Cathy wanted this for another granddaughter. So now all of them have a bag. 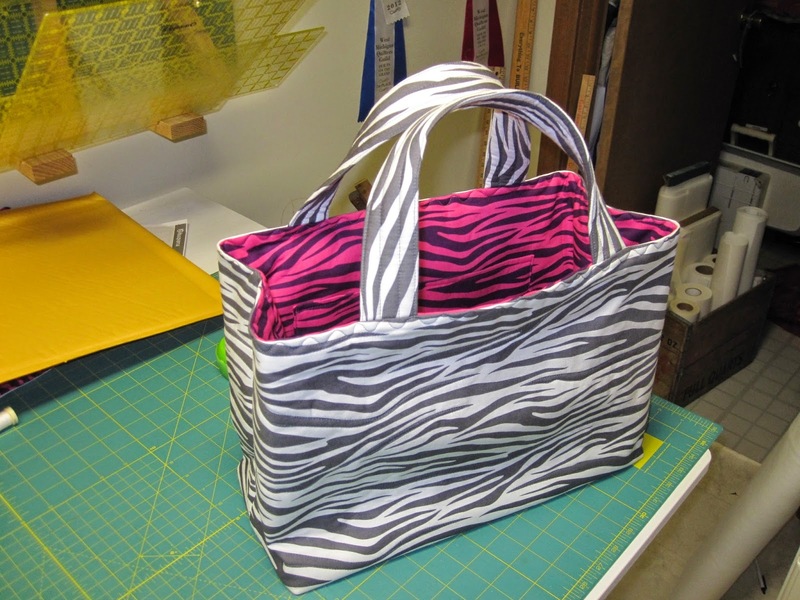 The bright pink zebra print inside is really great! Wouldn't you love to see a real zebra in the wild that color. Unfortunately it would not survive long with no way to blend in with its surroundings. Well I hope Cathy's little diva enjoys it!